You only need administrative rights to execute any WMI subscriptions and/or gather files from user folders NOT normally accessible from the current user context (not everything described here needs admin rights). KeePass is not “bad” or “vulnerable” – it’s a much better solution than what we see deployed in most environments. However admins/companies sometimes tend to see solutions like this as some silver bullet, so one point of this post is to show that practical attack vectors against it are not unrealistic. This writeup does not cover any ‘vulnerability’ in KeePass or a KeePass database/deployment, but rather covers a few notes on how to attack it operationally while on engagements. The “secure desktop” setting described is disabled by default and is not common in most enterprises (though it should be). In theory this should help mitigate keylogging a user’s master password but it doesn’t prevent an attacker from pilfering KeePass files. This is a great protection, but I would caution anyone who believes that this is also a silver bullet. I don’t know the exact mechanics of how their secure desktop implementation works, but I assume there is a way around it if you’re operating as NT AUTHORITY\SYSTEM. 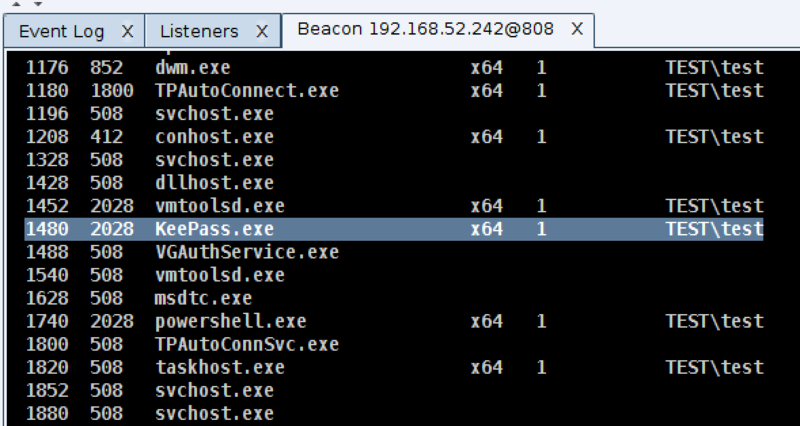 @tifkin_ and I worked on a follow-up blog post and code release here: “KeeThief – A Case Study in Attacking KeePass Part 2“. 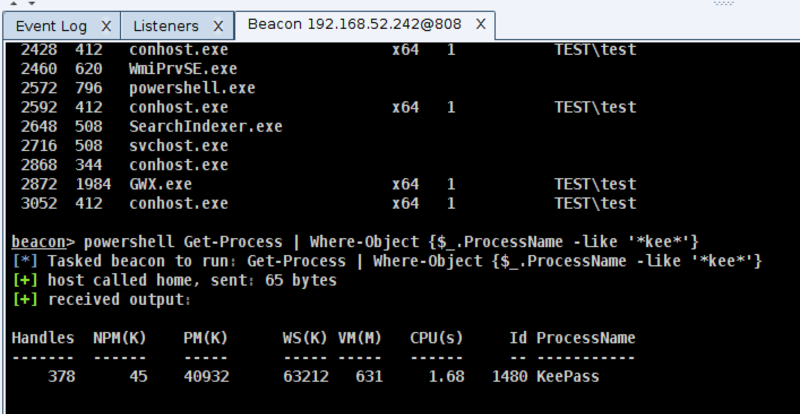 We see a lot of KeePass usage while on engagements. In the corporate environments we operate in, it appears to be the most common password manager used by system administrators. We love to grab admins’ KeePass databases and run wild, but this is easier said than done in some situations, especially when key files (or Windows user accounts) are used in conjunction with passwords. This post will walk through a hypothetical case study in attacking a KeePass instance that reflects implementations we’ve encountered in the wild. We’ll sometimes grab the KeePass binary itself (to verify its version) as well as any .kdb (version 1.X) or .kdbx (version 2.X) databases. If the version is 2.28, 2.29, or 2.30 and the database is unlocked, you can use denandz‘ KeeFarce project to extract passwords from memory; however, this attack involves dropping multiple files to disk (some of which are now flagged by antivirus). You could also try rolling your own version to get by the AV present on the system or disabling AV entirely (which we don’t really recommend). I’m not aware of a memory-only option at this point. We generally take a simpler approach- start a keylogger, kill the KeePass process, and wait for the user to input their unlock password. We may also just leave the keylogger going and wait for the user to unlock KeePass at the beginning of the day. While it’s possible for a user to set the ‘Enter master key on secure desktop’ setting which claims to prevent keylogging, according to KeePass this option “is turned off by default for compatibility reasons“. KeePass 2.X can also be configured to use the Windows user account for authentication in combination with a password and/or keyfile (more on this in the DPAPI section). print "ERROR: KeePass signaure unrecognized"
More savvy admins will use a keyfile as well as a password to unlock their KeePass databases. Some will name this file conspicuously and store in My Documents/Desktop, but other times it’s not as obvious. The XML config nicely tells us exactly where the keyfile is located. If the admin is using their “Windows User Account” to derive the master password (<UserAccount>true</UserAccount> under <KeySources>) see the DPAPI section below. If they are even more savvy and store the key file on a USB drive not persistently mounted to the system, check out the Nabbing Keyfiles with WMI section. 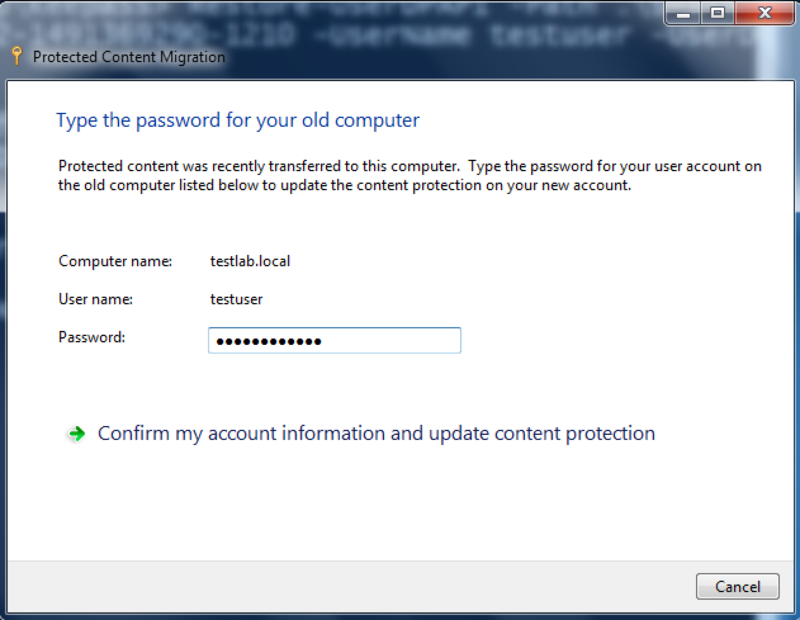 Setting ‘UserAccount’ set to true in a KeePass.config.xml means that the master password for the database includes the ‘Windows User Account’ option. KeePass will mix an element of the user’s current Windows user account in with any specific password and/or keyfile to create a composite master key. If this option is set and all you grab is a keylogged password and/or keyfile, it might seem that you’re still out of luck. Or are you? In order to use a ‘Windows User Account’ for a composite key in a reasonably secure manner, KeePass takes advantage of the Windows Data Protection Application Programming Interface (DPAPI). 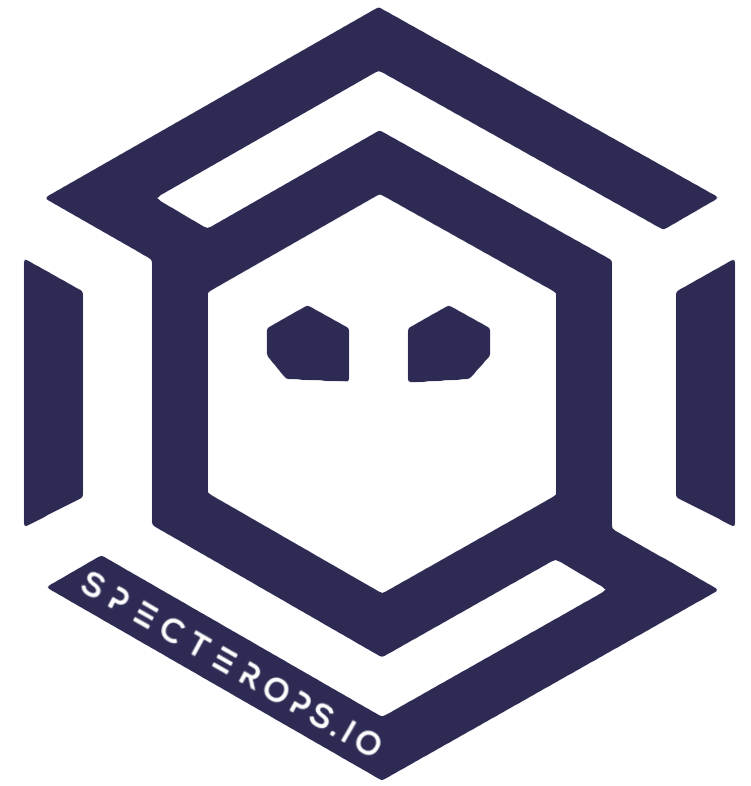 This interface provides a number of simple cryptographic calls (CryptProtectData()/CryptUnProtectData()) that allow for easy encryption/decryption of sensitive DPAPI data “blobs”. User information (including their password) is used to encrypt a user ‘master key’ (located at %APPDATA%\Microsoft\Protect\<SID>\) that’s then used with optional entropy to encrypt/decrypt application-specific blobs. The code and entropy used by KeePass for these calls is outlined in the KeePass source and the KeePass specific DPAPI blob is kept at %APPDATA%\KeePass\ProtectedUserKey.bin. Copy the target user account DPAPI master key folder from C:\Users\<USER>\AppData\Roaming\Microsoft\Protect\<SID>\ . The folder name will be a SID (S-1-…) pattern and contain a hidden Preferred file and master key file with a GUID naming scheme. Copy C:\Users\<USER>\AppData\Roaming\KeePass\ProtectedUserKey.bin . 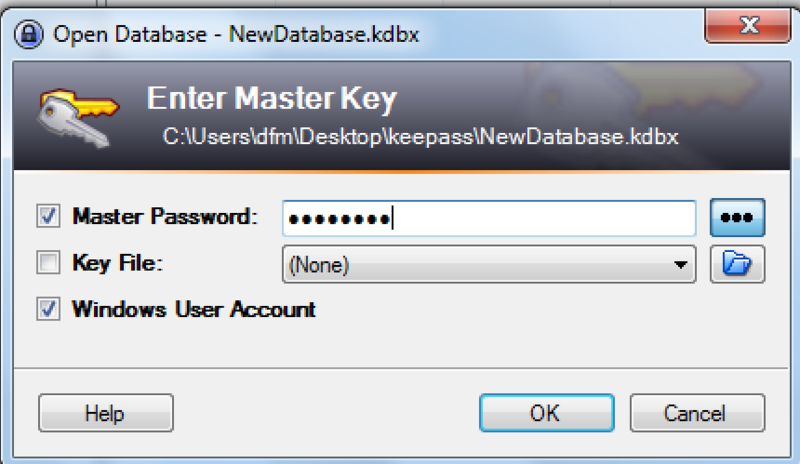 This is the protected KeePass DPAPI blob used to create the composite master key. Take note of the username and userdomain of the user who created the KeePass database as well as their plaintext password. Move the <SID> folder to %APPDATA%\Microsoft\Protect\ on an attacker controlled Windows machine (this can be non-domain joined). Set a series of registry keys under HKCU:\SOFTWARE\Microsoft\Windows NT\CurrentVersion\DPAPI\MigratedUsers , including the old user’s SID, username, and domain. The KeePass wiki has a registry template for this here. Run C:\Windows\system32\dpapimig.exe, the “Protected Content Migration” utility, entering the old user’s password when prompted. Open KeePass 2.X, select the stolen database.kdbx, enter the password/keyfile, and check “Windows User Account” to open the database. If you’re interested, more information on DPAPI is available in @dfirfpi‘s 2014 SANS presentation and post on the subject. Jean-Michel Picod and Elie Bursztein presented research on DPAPI and its implementation in their “Reversing DPAPI and Stealing Windows Secrets Offline” 2010 BlackHat talk. The dpapick project (recently updated) allows for decryption of encrypted DPAPI blobs using recovered master key information. Benjamin Delpy has also done a lot of phenomenal work in this area, but we still need to take the proper deep dive into his code that it deserves. We’re hoping we can use Mimikatz to extract the DPAPI key and other necessary data from a host in one swoop, but we haven’t worked out that process yet. Matt Graeber gave a great presentation at BlackHat 2015 titled “Abusing Windows Management Instrumentation (WMI) to Build a Persistent, Asynchronous, and Fileless Backdoor” (slides here and whitepaper here). He released the PoC WMI_Backdoor code on GitHub. One of the WMI events Matt describes is the extrinsic Win32_VolumeChangeEvent which fires every time a USB drive is inserted and mounted. The ‘InfectDrive’ ActiveScriptEventConsumer in Matt’s PoC code shows how to interact with a mounted drive letter with VBScript. We can take this approach to clone off the admin’s keyfile whenever his/her USB is plugged in. This trigger will clone the target file into C:\Temp\ whenever the drive is inserted. You can also register to monitor for events on remote computers (assuming you have the appropriate permissions) with -ComputerName and an optional -Credential argument. sFilePath = TargetEvent.DriveName & "\key.jpg"
Big thanks to Matt for answering my questions in this area and pointing me in the right direction. Using KeePass (or another password database solution) is significantly better than storing everything in passwords.xls, but once an attacker has administrative rights on a machine it’s nearly impossible to stop them from grabbing the information they want from the target. With a few PowerShell one-liners and some WMI, we can quickly enumerate KeePass configurations and set monitors to grab necessary key files. This is just scratching the surface of what can be done with WMI- it would be easy to add functionality that enumerates/exfiltrates any interesting files present on USB drives as they’re inserted.